Can your body keep up with your hectic lifestyle? You’re the type who lives to work hard and play hard, but you notice something’s off lately. The jog you’re used to doing so effortlessly now gives you a leg cramp. Taking the stairs up to your office—which used to be an easy climb—now leaves you breathless and light-headed, and you’re even looking paler than usual. What’s your body trying to tell you? The sudden cramp, shortness of breath, sallow skin, and constant fatigue aren’t just bothersome manifestations you can sleep away. 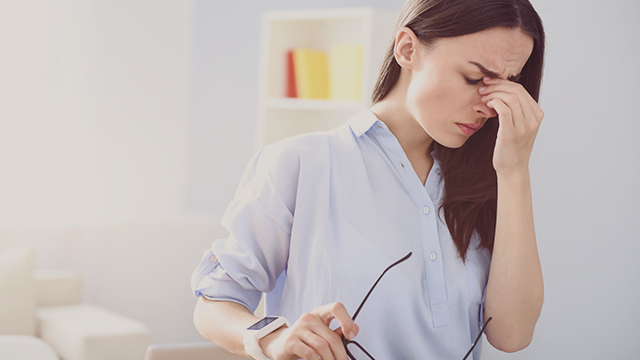 When they’re negatively affecting your energy and the work-life balance you used to have, they could be signs of poor blood health that, when neglected, can cause iron deficiency anemia (IDA). IDA occurs when the amount of iron in the body is low and leads to a decline in the amount of hemoglobin, the protein inside our red blood cells that carries oxygen from our lungs to and from the rest of the body. The World Health Organization reports that the prevalence of IDA among non-pregnant Southeast Asian women, including Filipino women, is almost 46 percent, compared to a 10 percent prevalence for women in the US following childbirth. How do you get IDA? Since your body can't produce iron, it depends on iron-rich food in your diet. Without any iron-rich food, your body won't have the supplemental iron to produce hemoglobin, the part of the red blood cell that's responsible for its red color and enables them to carry oxygenated blood throughout your body. A study has also found that stress and anxiety can interfere with the production of hydrochloric acid, an essential component in iron absorption in the body. Women in childbearing age are especially at increased risk of IDA because of blood loss from menstruation. Most women ignore any heavier-than-usual flows during their period and don’t realize that they could have menorrhagia, which is the medical term for abnormally heavy periods. In effect, the loss of blood contributes to the loss of iron in the body. How do you treat IDA? The good news is, IDA can be treated by eating more iron-rich food, having ample amount of rest, and taking iron supplements daily to help boost iron stores and improve blood circulation throughout your body. 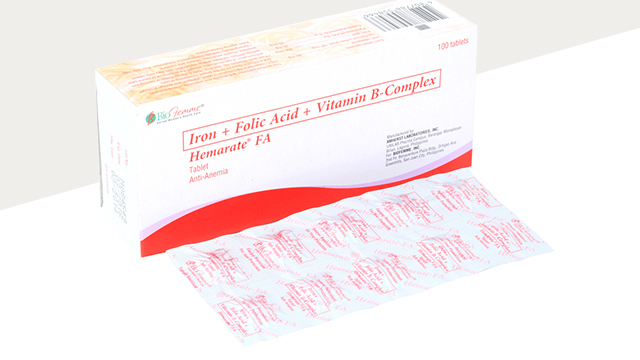 Choose the "blood vitamin" that's formulated to specifically address IDA like Hemarate FA. It has 60mg of iron, which is the right amount to treat and prevent IDA, and other important nutrients like Folic Acid and Vitamin B-Complex for the production of red blood cells, making this the most doctor-prescribed iron supplement. With these lifestyle adjustments and Hemarate FA, you’ll be on track to restoring your iron levels and keep you looking alert and alive. Visit the Hemarate FA Facebook page and learn more about the product. Available at all leading drugstores (SRP: P23 per tablet). This article was created by Summit Storylabs in partnership with Hemarate FA.